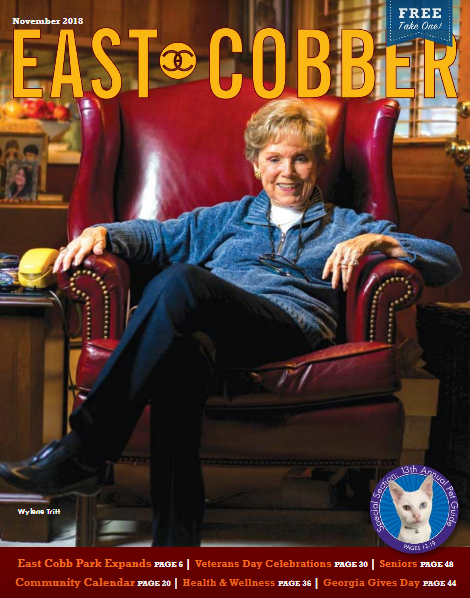 Mrs. Tritt on East Cobber Magazine + Save the Date! Mrs. Tritt is on the cover of the November edition of the East Cobber to celebrate the new 30-acre Tritt Park property purchase right next to East Cobb Park! ​Mrs. Tritt generously donated 7.7 acres, and Cobb County purchased 22 acres with the 2008 Park Bond, issued in 2017 by the Board of Commissioners. Mrs. Tritt: "I am elated that the beauty and majesty of this special green space will be enjoyed by thousands of Cobb Countians long into the future." Save the Date! Mrs. Tritt will make an appearance on December 2, 2018 from 5:00 to 7:00 pm at the Annual Christmas Tree Lighting at East Cobb Park! 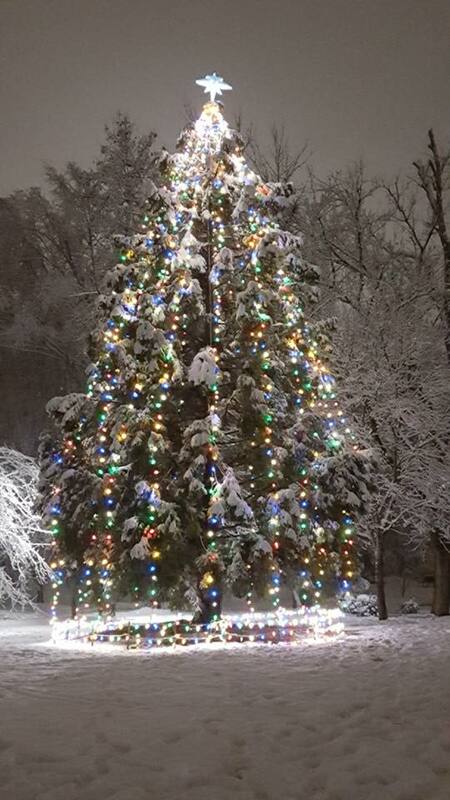 ​Friends for the East Cobb Park will be hosting the special tree lighting. This is a magical night where the community gathers to celebrate the lighting of the East Cobb Park tree, enjoy holiday music from local performers, and welcome the arrival of Santa Claus. The entire holiday event is free for all ages. 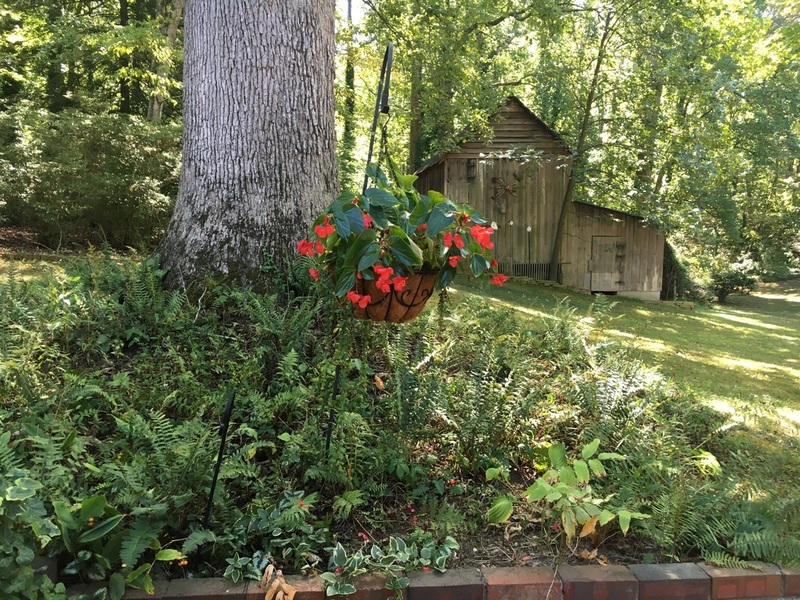 What makes the 54-acre Tritt property special?Discover the history of the Tritt property in East Cobb County here or here. The history includes Sewell Mill and spans generations from the beginning of Cobb County in 1832. How Park Bond 2008 Made the Future Tritt Park Possible: The vast majority of money to purchase the 30-acre part of the 54-acre Tritt property came from the Park Bond 2008 fund, which does not impact the General Fund budget. Voters overwhelmingly approved the Park Bond by Referendum to allow precious greenspace to be saved before it would have been developed. 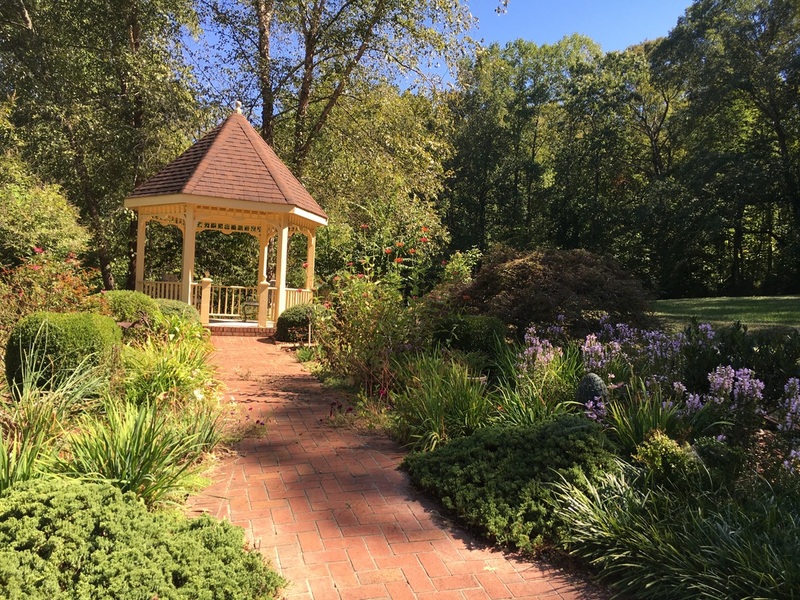 The Friends of East Cobb Park also made a donation in support of the Tritt Park property purchase, and you can support the East Cobb Park here. Mark your calendars!!! This TUESDAY, JUNE 26 at 7pm is the official vote when the Board of Commissioners plans to approve the Tritt property purchase with Park Bond 2008 funds, and we encourage everyone to attend!! This is our opportunity to show support and thanks for their decision to save this property as greenspace / parkland! 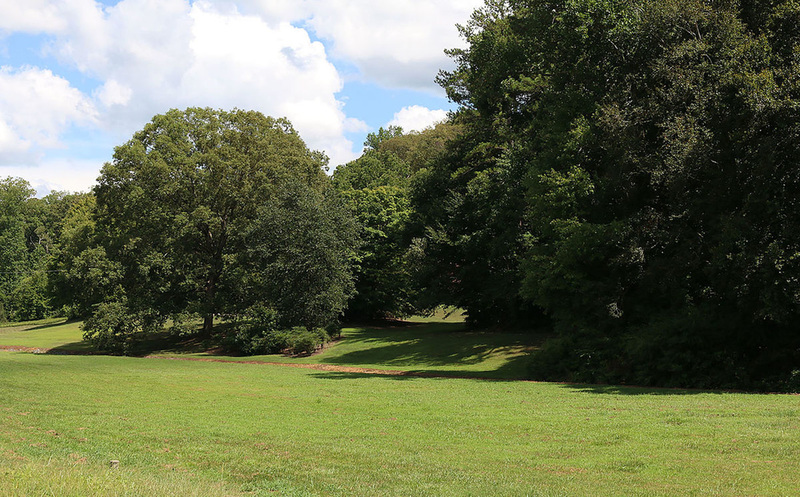 ​We look forward to the continuing work of preserving the remaining acreage in the future to have all 54 acres as the "Green Jewel of East Cobb"! Below is the new map planned for purchase (copied from this East Cobb News article), and you can read the proposed County contract for the Tritt property as a park here, which mentions saving the remainder in the near future. Drone video of the Tritt property from 1,000 feet: You can see the island of hardwood trees surrounded by the neighborhoods of East Cobb! Monday, October 24 at 9:00 AM: Listen live to the new Park Bond 2008 property list announcement during the Cobb County Board of Commissioner's work session. It was reported that the list will be presented the day before the Tuesday Board of Commissioners meeting. Note if for some reason the Tritt property is not on the list of properties submitted to the Board of Commissioners for consideration, we need to press for it to be considered for purchase as it was the impetus for the entire park bond process that began in 2006. The list being provided to the BoC is only a recommendation of properties. It is within the full authority of the Commissioners to consider any property for purchase, if they chose to do so, whether it is on the list or not. Tuesday, October 25 at 7:00 PM: Attend or watch the Board of Commissioners meeting. The meeting is located at 100 Cherokee Street, 2nd floor. NOTE: District 3 Commissioner JoAnn Birrell had planned to present a resolution to fund some of the 2008 Park Bond on October 25, but she has changed the date to Tuesday, November 8 meeting at 9:00 AM. The new Park Bond property list is scheduled to be presented on Monday October 24 at a Board of Commissioner Work Session. Check our Facebook page for updates. Wednesday, October 26 at 7:00 PM: District 2 Commissioner Bob Ott will be the speaker at the East Cobb Civic Association meeting at 4400 Lower Roswell Road in the Lower Roswell Government Center across from Mt. Bethel Church. We encourage everyone to attend this meeting to express your support for the purchase of the Tritt property and full funding of the $40 million Park Bond. It is the responsibility of the Board of Commissioners to fund what the people voted for by an overwhelming majority over 8 years ago. 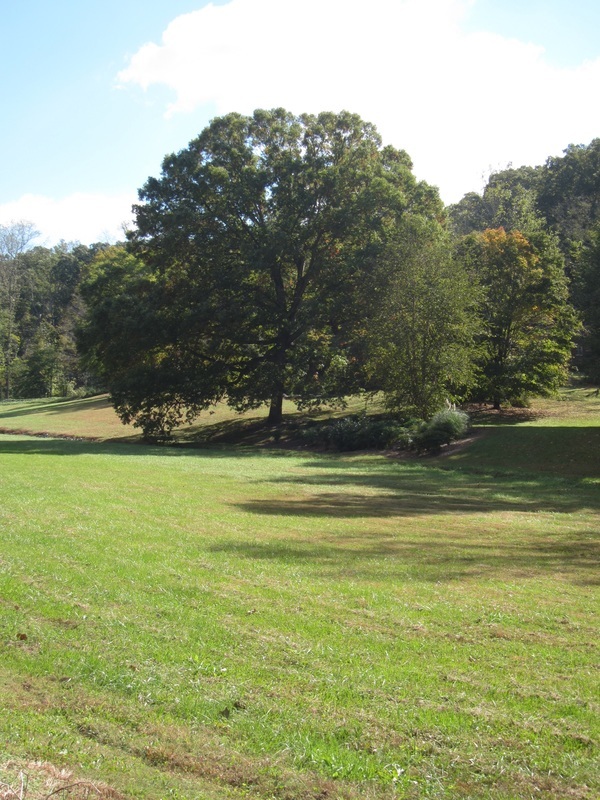 The Tritt property was the impetus for the Cobb County park bond program, and it was recommended for purchase by both the 2006 Park Bond and the 2008 Park Bond Committees. In October 2009, the 2008 Parks Bond citizens advisory committee recommended 29 properties for purchase by Cobb County. Commission District 2, though representing 25 percent of the population of the county, had only three recommended properties, or 10 percent of the total number of properties. District 2 includes Smyrna, Vinings, the Cumberland area and much of east Cobb. This area is heavily developed, which limits green space opportunities. 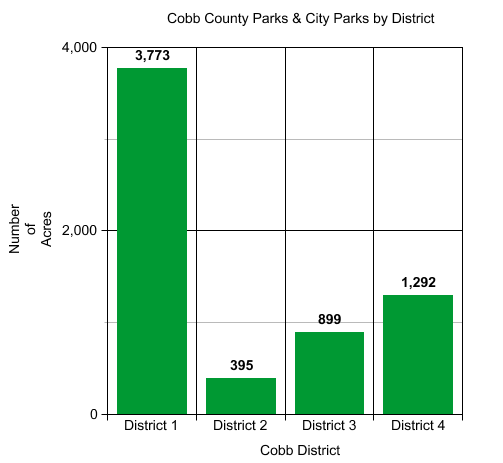 District 2 has only 313 acres of county parks, the least by far of any Cobb commission district. The 2008 Parks Bond was never issued due to the economy. Since then, two of the three recommended properties in District 2 have been developed. 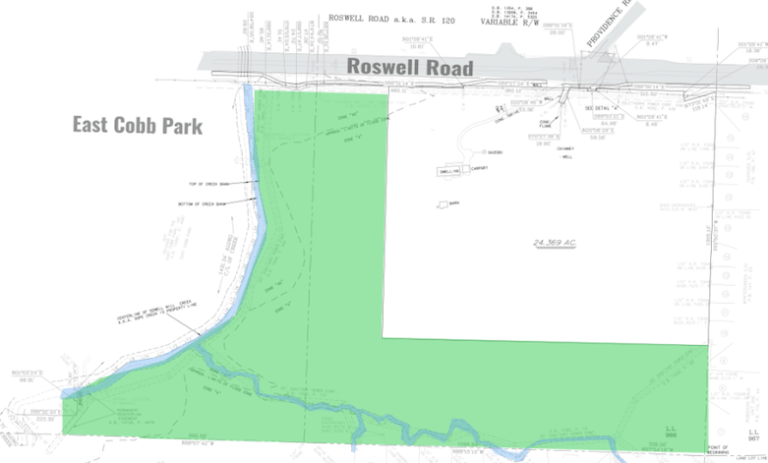 The lone undeveloped 2008 Parks Bond property in District 2 is the 54-acre Tritt property on Roswell Road in east Cobb. The Tritt property was a finalist for both the 2006 and 2008 Park bonds. The Tritt property consists of pristine hardwood forest along environmentally-sensitive Sewell Mill Creek. The property in its undeveloped state helps keep our water and air clean, helps control flooding along the creek and generates no demand on local schools and very little traffic. The property adds to the beauty and character of east Cobb, and helps keep surrounding property values high. This property has been in the related Delk and Tritt families for over 150 years, so it represents much of east Cobb’s history. It is centrally located in east Cobb, and is likely the largest parcel available for any purpose in District 2. Most importantly, the Tritt property has an owner who is ready and willing to sell to the county. The Tritt property is the clear choice for District 2’s next park. After a long zoning battle, the east Cobb community is fully aware of how close we came to losing this property to development, and there is overwhelming support to make this property a park for all to enjoy. Hopefully, District 2 Commissioner Bob Ott will join with the people of east Cobb in recommending this property for purchase with the 2008 Park Bond. ​The Tritt family is giving our community a golden opportunity to help shape the future of East Cobb. ​Mrs. Tritt personally wrote a letter (see below) about how she would like to see the Tritt property on Roswell Road become a park for all of East Cobb to enjoy! To make this happen, we need everyone to join in the effort! The 54-acre Tritt property was the #1 property recommended on both the Park Bond 2006 list and the Park Bond 2008 list. 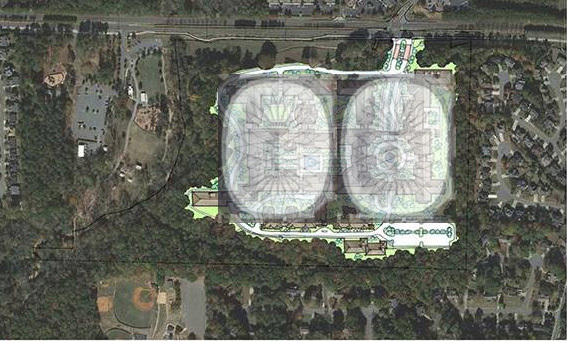 In fact, this lovely "green Jewel of East Cobb" was the impetus for the entire Park Bond process! East Cobb Park is the most popular park in Cobb County, so it makes sense as the population increases to expand park capacity in this area. 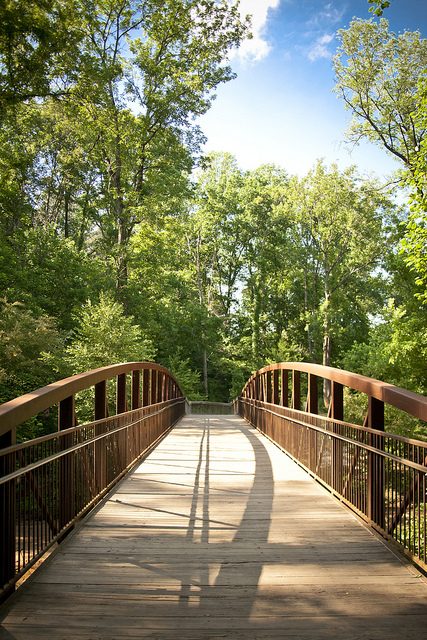 ​The vision for the new Tritt Park includes tons of activities to do such as nature hiking trails, mountain biking trails, disc golf, botanical gardens with a wedding gazebo, an East Cobb history center, and an art studio for art shows. On October 25, 2016 at 7:00pm Cobb County will get a new multi-million dollar opportunity to purchase land as parks with the renewed Park Bond 2008 process. Commissioner Birrell has proposed to fund $24.7 million of the original $40 million parks referendum. Connect with the Cobb Parks Coalition to encourage the full $40 million as voters approved by referendum. 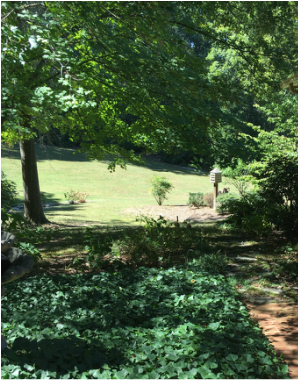 ​Join the Friends of Tritt Park and encourage local businesses we support through our hard earned dollars to partner with us in the effort to purchase this property for the benefit of future generations who live in and visit East Cobb for its wonderful businesses and amenities. ​The new property list for Park Bond 2008 funds may be announced at this October 25 BoC meeting too. When the new Park Bond list is announced, the list has recommendations from a committee. However, Commissioners can select any property they choose to save as a park in their District. In fact, there is a precedent for the Board to chose another property not recommended on a committee list. After the original 2006 Park Bond committee recommended properties, a Commissioner purchased a property not on that committee's list to expand a park. Our goal is to push for the Tritt property to be chosen as the Park Bond property for District 2! Please send an email (see above) to let Commissioner Ott know we want the Tritt property saved. ​Our East Cobb history needs to be preserved and shared so future generations know our area is more than just subdivisions, retail shops, banks and gas stations. People drive on roads and attend schools named after families like Tritt, Lassiter, Delk, Dickerson, Sewell, and yet the history of East Cobb is known to very few who live here. All these families have a history and stories connected to the founding of this area and to the Tritt property directly. Citizens love spending time in Roswell Square or Marietta Square where there is a focal point for people to gather and experience the history of those areas. East Cobb has a chance to do the same if we are bold enough to take it! The purchase of the Tritt property will likely be accomplished with a medley of funding, with support from the Cobb County, non-profit organizations, corporate sponsors & individuals. Fully funding Park Bond 2008 as voters approved is a key step for the benefit of all parks & greenspace in Cobb County. become a beautiful reality for East Cobb! "Today, Isakson Living has ended its litigation against the Cobb County Board of Commissioners to appeal the Board’s 2015 denial of CCRC zoning..." Also, Isakson Living has terminated their contract with Mrs. Wylene Tritt for the beautiful 54-acre Tritt Property located next to East Cobb Park! Please let us be respectful of both Isakson and Mrs. Tritt and show grace in our response as we receive this news. We thank each one of you for sticking with this for so long, being part of a process that was at times frustrating and so very time consuming. Your commitment never wavered and we are so grateful you stuck together as a community to see it through. We will post updates on our Facebook and the website. God Bless you and thank you so very much for all you did to make this a reality. You are a dedicated group of citizens and we are proud to be part of this community. We now have an opportunity to work toward making the Tritt property a park. Please join with the Cobb Parks Coalition and come to the Board of Commissioners meeting next Tuesday, September 27 at 7p to show support (wear green!) for including the 2008 Park Bond funding in the 2017 Budget. In 2008, residents across Cobb County voted by an overwhelming majority to fund more park space in Cobb by voter referendum. The Tritt property was on the original 2008 list of properties and was re-nominated in April 2016 of this year to be added to the list of properties under consideration for purchase by the county. Voters have patiently waited 8 years to see the $40 million park bond become a reality. Please come and show your support for having the Board of Commissioners fully fund the park bond and fulfill the will of the citizens of Cobb. The Park Bond 2008 reactivation is set to be approved in the Budget 2017 on September 27 at 7p at 100 Cherokee Street near the Marietta Square. Please be there wearing green to support full funding for Park Bond 2008! The developer and property owner that were suing the county after commissioners denied a rezoning request for a senior living project in east Cobb have voluntarily dropped the suit, their lawyers confirmed Thursday. 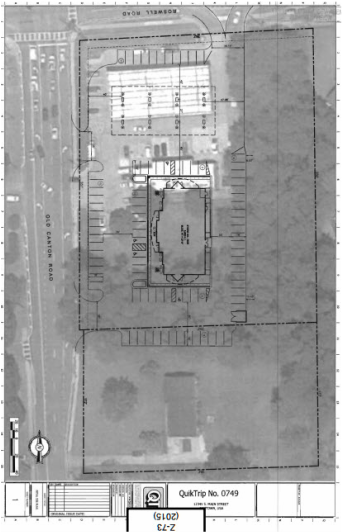 Atlanta-based Isakson Living filed a request to rezone 53.7 acres on Roswell Road adjacent to East Cobb Park that was denied in March 2015, 18 months after it was originally proposed. The company and the property’s owner, Wylene Tritt, sued the county over the decision, which has gone through multiple round of mediation. In a statement on the company’s website, Kevin Isakson, director of sales and marketing for Isakson living, explained why the suit was dropped. Commissioner Bob Ott, who represents east Cobb on the commission, said he’s happy to see the suit dismissed. In addition to dropping the suit, Isakson Living also cancelled its contract with Tritt to purchase the property, leading Tritt to send a letter to county officials asking that the county consider purchasing her property to use as a park. The letter is dated Sept. 21, the day before the suit was officially dropped. The Tritt property was on a list of 29 properties a parks bond citizen advisory committee compiled for the county to consider purchasing with a $40 million park bond voters approved in November 2008. The bonds were never issued by county leadership at the time, with then-Chairman Sam Olens citing an inability to issue the bonds without a tax increase due to the tanking economy. Since that time, the economy has rebounded and the county reformed the citizen advisory committee this year to create a new list of potential park purchases. Ott said the committee has begun the process of evaluating the 166 properties across the county that were nominated for purchase and is expected to present commissioners with a report in October. Because the nominating window has closed and the committee has already begun whittling down the list of potential properties, Ott said county staff is working with the committee to find a way for the Tritt property to be considered. Fred Estfan, Tritt’s attorney and real estate broker, said Tritt is not disclosing her asking price for the county to purchase the property, but said they would “undertake a massive public campaign” in the coming weeks to get the support of the public to try to get a commitment from the county to purchase the property. Ott said the purchase needs to go through the proper channels. Here is the latest court document from Cobb County to Isakson Living. The document was filed on May 18, 2016, but was not available on the court website until early June. I respect that we do need assisted living in Cobb. But not by clearing the last old growth forest in our east Cobb neighborhood. Our Grandpas and Grandmas, their children and grandchildren would be able to enjoy this last refuge forever if we can save it from development. Any development. Cobb County has allocated funds for this and similar parks and now we need to use those funds as the taxpayers intended. Developers can re-purpose other land for assisted living developments. If you live in the area, you see proof of this everywhere. Old structures being demolished and expensive new developments being built in their place. Once a property is cleared, it doesn’t care what we build on it. But when we destroy our last remaining tract of forest in the area, it is gone from us forever. Mr. Ott has our support as long as he is moving towards keeping this land for the enjoyment of all! Cobb County residents, both old and young alike. The race to represent east Cobb on the county commission has seen both the incumbent and his primary challenger accuse the other of being out of touch and unfit for the position. Commissioner Bob Ott, who has represented District 2 since 2008, and his opponent, attorney Jonathan Page, are each vying for the Republican nomination for the post, which will be decided during the May 24 primary. No Democrat has qualified for the race, though third party and independent candidates can qualify in June. The tone of the race was on display Tuesday at a candidate forum hosted by the East Cobb Civic Association, which saw about 50 people show up to hear from the candidates. The issues on the table were familiar to those who have been following county politics in recent years: transparency, development, green space, public safety, taxes, transportation and the SunTrust Park stadium. Ott touted his years of experience on the board and in the community while Page spoke of his deep Cobb roots, his leadership style and his credentials as an attorney and small business owner. Throughout the campaign, Page has sought to portray Ott as an obstructionist who says no without offering alternatives. Ott has defended his record as a series of principled stances, a small fraction of which, he says, put him in opposition to the rest of the board. Ott held himself up in contrast to Page as someone who was not afraid to ask questions and “ruffle feathers” in order to get to make the best decision. Ott also took several swipes at Chairman Tim Lee, who is running for re-election against challengers Mike Boyce and Larry Savage, an indication that the battle lines may extend beyond District 2. Ott went after Lee for the water fund transfers to the general fund, for his record on public safety, and for his handling of the budget. On the Braves stadium, Ott said that while he believed it should have been put to a referendum, there was already a majority of commissioners in favor of the deal. Instead of trying to bring it to the public for a vote, Ott said, he worked to close loopholes in the memorandum of understanding between the county and the team. “The incumbent wants to be on all sides of the issue,” both for and against, Page said of Ott’s stance on the stadium deal. At another point, however, Page was caught taking a stand in favor of privatizing ambulance service in the county, before Ott pointed out that ambulance service is already privatized in Cobb. Cobb residents in attendance said the forum was informative, although several characterized the questions as predictable. Patti Rice of east Cobb said she wanted to know whether either candidate supported Republican presidential candidate Donald Trump. “I just would like to know if they’re holding a party line or not,” Rice said. Locally, Rice said that senior housing was a very important issue to voters. “It’s huge because of the baby boomers and all of us seeing our parents (age),” Rice said. “I think the Braves was a big one,” added Fran Mitchell, also of east Cobb. District 2 Commissioner Bob Ott put forward an agenda item recommending the Board of Commissioners direct the Cobb County Legal Department to end mediation with Isakson Living so that the "languishing" case can proceed on to the Cobb County Superior Court. This agenda item will be discussed and voted on at the next Board of Commissioners meeting on Tuesday, April 26, 2016 at 7:00 PM. Everyone is welcome to attend the meeting at 100 Cherokee Street, 2nd Floor BoC room, near the Marietta Square. Wear green shirts to show our continued support to deny the original Isakson Living plan. You can also watch the April 26 meeting live on TV 23. We will post updates after the vote. To direct Legal to proceed in the Cobb County Superior Court with the litigation of Tritt and Isakson Living Communities, LLC v. Cobb County, Georgia, et al. Isakson Living Communities, LLC v. Cobb County, Georgia, et al. Wylene S. Tritt and Isakson Living Communities, LLC ( Plaintiffs) filed suit against Cobb County, Georgia on April 16, 2015 to appeal the BOC decision to deny the rezoning of a 53 acre tract from R-20 to CCRC. The property fronts Roswell Road in the vicinity of the new WellStar facility, with a park on one side and residential subdivisions on the other side and to the rear. The parties attended mediation on two separate occasions, November 16, 2015 and January 18, 2016. At the second mediation, the mediator ended the mediation because it appeared that the parties would not reach a resolution. The parties had previously agreed to stay discovery pending the outcome of mediation. However, in February, 2016, counsel for the Plaintiffs notified Legal that a written plan of the final offer verbalized at mediation would be delivered by March 11, 2016 so that the property could be posted, advertised and presented for a vote by the full BOC. To date no plan has been received and the matter has been languishing. The Board of Commissioners direct Legal to proceed in the Cobb County Superior Court with the litigation of Tritt and Isakson Living Communities, LLC v. Cobb County, Georgia, et al. The Cobb County Board of Commissioners, or BOC, is made up of five Commissioners: four district Commissioners who represent their districts plus one Chairman who represents the whole county. The BOC is in charge of most aspects of county government, except for schools. The BOC is in charge of zoning decisions which can affect the quality of life for Cobb residents. Cobb County district commissioner is considered a part-time, paid position, unlike the Chairman position, which is full-time and pays considerably more. East Cobb falls in Commission Districts 2 and 3, though due to recent boundary changes, most of East Cobb is now in District 2 (see new map below). The candidates for the Republican nominee for Cobb County Commission District 2 are Bob Ott (incumbent) and Jonathan Page. If no Democrat runs for this seat, the winner of the Republican primary on May 24, 2016 will be the winner of the November election. The Primary date is May 24, 2016. See the Cobb Elections website for more info. Early voting starts in May, and you can view all the early voting dates and locations here. When you get to your polling location on May 24, you must choose to vote in either the Republican or Democratic primary. Georgia is an open primary state, so you can vote in either primary, and you won’t be asked about your party affiliation, if any. To vote for Bob Ott or Jonathan Page, you must choose to vote in the Republican primary. Many NEW East Cobbers can vote in this election. The area of Cobb Commission District 2 was changed by the state legislature as part of redistricting of Cobb County in 2014. 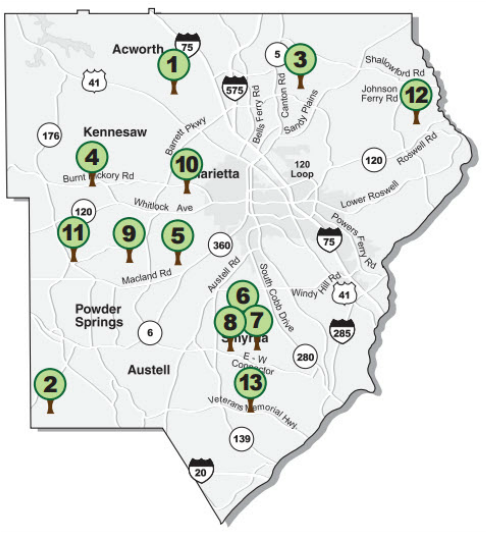 Many areas north of Roswell Road, which were formerly in District 3, are now in District 2. Commissioner JoAnn Birrell’s District 3 map changed too. The District 2 area now includes most of the Pope High School area, as well as part of Lassiter High School. District 2 still covers the Walton and Wheeler High School areas in East Cobb. Voters who live in the new boundaries of District 2 can vote for the District 2 Commissioner this year, even if they voted for the District 3 Commissioner in 2014. See the new map here. The Isakson Living project is now a major campaign issue in the District 2 race, so it's important we all vote on May 24, 2016. Johnathan Page is challenging Bob Ott for his seat on the Cobb County Board of Commissioners. A major backer of Jonathan Page criticizes Bob Ott's zoning decision on Isakson Living. In the April 14, 2016 Marietta Daily Journal, Jim Rhoden, a major supporter of Page, criticized Ott's decision to deny the Isakson Living zoning next to East Cobb Park, called "Tritt Walk" in the article. See the full article here &/or this recent blog post about his stance. The Isakson Living project has become a major campaign issue in the Cobb Republican Primary set for May 24. Johnathan Page is challenging Bob Ott for his seat on the Cobb County Board of Commissioners. We were pleased to see Commissioner Bob Ott uphold zoning rights and vote to deny the large-scale CCRC plan as proposed by Isakson Living on March 17, 2015. Isakson Living then started litigation against Cobb County and the Board of Commissioners after the decision, and the case is still in mediation. During the March 17, 2015 meeting, the Board of Commissioners also placed a 1-year moratorium on all CCRC applications until the CCRC zoning code, drafted in part by Isakson Living, could be reviewed. The recommended CCRC changes were proposed January 2016, but Chairman Lee voted to put a hold on adopting the suggested CCRC changes. Campaign donations in the race for District 2 county commissioner, which pits incumbent Bob Ott against attorney Jonathan Page, show an apparent split in the business and development community over the two candidates. Page and Ott are both running as Republicans, meaning the outcome will likely be determined at the May 24 primary. Independent and third-party candidates, however, have until June to declare. As for the apparent shared base of support between himself and Chairman Lee, Page said he was “not aware of any policy perspective that Lee and I share.”Rhoden, for his part, said he was “flattered by the suggestion that (he was) a mastermind behind anything,” saying he was “one of many” who urged Page to run. Rhoden said he was “thoroughly disappointed” with Ott, whom he called a source of “strife and aggravation” on the Board of Commissioners who voted inconsistently. By way of example, Rhoden pointed to Ott’s vote against Tritt Walk, a 481-unit residential senior living development proposed by developer Isakson Living. Rhoden pointed out that Ott had voted in favor of another senior living development in a residential area, Sterling Estates, which was approved with 90 units and six cottage duplexes in 2012. Ott said the two cases were completely different, emphasizing the difference in density between 481 units and 90. “Every zoning case has to be looked at on its own merits,” Ott said. He went on to say that campaign donations from property managers, businesses and members of the Cumberland CID contradicts the criticism that he is not a team player. Separately, District 4 Commissioner Lisa Cupid is running for re-election unopposed. Click to read the entire Marietta Daily Journal article here. 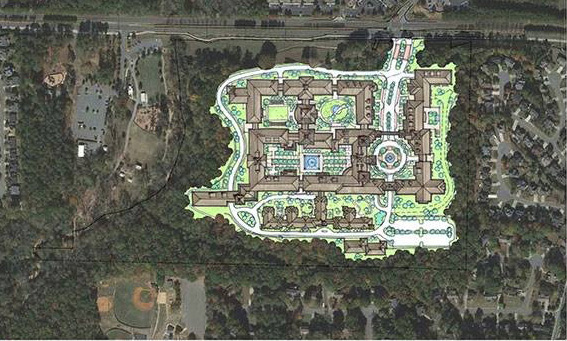 In 2013, East Cobbers wondered how Isakson Living could propose a large number of 5-story apartment buildings 108-feet tall with nearly 1,000 units planned in a single development the size of 2 Georgia Domes next to low density residential neighborhoods with 3 Walton district schools nearby and directly bordering well-loved East Cobb Park, the only passive use park in this part of East Cobb. ​The answer is the CCRC (continuing care residential community) zoning code, drafted in large part by Isakson Living in 2008, controversial from the beginning, and unsupported by every community member on the CCRC drafting committee. It is the only Cobb zoning code that doesn't include wetlands or floodplain when calculating density, and the entire CCRC code is heavily weighted in favor of the developer, allowing for building heights of up to 4-stories. The RSL (residential senior living) zoning code limits building heights to 2-stories and 35-feet maximums in residential areas, so the CCRC is quite an deviation from the accepted land use norms. The CCRC proposed by Isakson Living had an independent living component with a density higher than that of most apartment complexes in Metro Atlanta. Again, the zoning codes used by apartment complexes in Cobb County (RM-8, RM-12, RM-16) are not recommended for Low Density Residential land. In addition, the parking level in the CCRC was not clarified as a story in the CCRC zoning code, which is how Isakson Living proposed 5-story apartments, rather than the recommended 2-stories or even up to 4-stories, in such a low density residential area. Any zoning code in Low Density Residential neighborhoods should be limited to 35-feet or 2-stories from grade level, just as the RSL zoning code does. In fact the RSL code could be better stated as 35-feet and 2-stories. 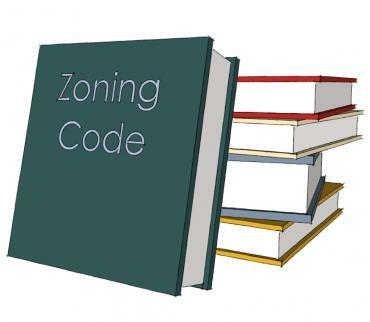 However, overall the RSL zoning code recognizes height and density concerns of communities in order to protect neighborhoods from overly intense developments. January 2016 Cobb County planned to amend the RSL code for multi-stage senior living and delete the controversial CCRC code. Cobb community members and civic associations supported this publicly. At the February 23, 2016 Board of Commissioners meeting to approve replacing the CCRC (Continuing Care Retirement Community) code by making improvements to the existing RSL (Residential Senior Living) code to allow for multi-stage senior living, Chairman Lee surprisingly delayed the vote. Why was the voted delayed? Chairman Lee said the Atlanta Regional Commission (ARC) had new information related to the proposed changes to Cobb's CCRC and RSL zoning codes, although he didn't specify what that new information was. At the same February 23 meeting, Commissioner Bob Ott noted staff had nearly a year to look at the CCRC code changes during the Moratorium and questioned Commissioner Lee on how any information could possibly have that great an affect on this zoning code. We agree with Commissioner Ott's assessment of the situation. Some concerned citizens have requested the ARC information Commissioner Lee mentioned, and it appears none of the data calls into question the serious CCRC zoning code discrepancies, such as using floodplain in density calculations, allowing up to 4-stories in Low density areas, and not clarifying if parking can be counted as a story. The CCRC moratorium has been in effect for several months, which should have been ample time to consider all the implications of the proposed zoning changes. If the county plans to consult industry leaders in the senior housing industry, it should also consult citizens of Cobb County to ensure that their concerns are addressed, both as residents and neighbors of these senior housing developments. Kevin Isakson serves on the ARC Aging Committee, so it would be a conflict of interest for the Cobb Board of Commissioners to take guidance from him on this matter, given the county's current litigation with Isakson Living and his direct business interest in maintaining the least restrictive CCRC possible. Community members do not understand this delay in voting on a reasonable compromise to the senior living zoning districts which both promotes aging in place and at the same time protects neighborhoods from overly-intense developments. Here is the Marietta Daily Journal article about the delayed vote. February 24, 2016 MARIETTA — The Board of Commissioners postponed a decision on changes to senior living zoning categories that had been slated for a vote at Tuesday’s regular meeting. The amendment followed a contentious zoning case last year concerning Tritt Walk, a proposed 481-senior living community by Isakson Living near East Cobb Park. The county is engaged in litigation with the developer and property owner over the board’s decision to deny the zoning request. The proposed changes would have implications for density and floodplain for new projects. Speaking during the public hearing, Jill Flamm of the East Cobb Civic Association called the proposed changes a “definitive improvement” and called on the board to approve the amendment as drafted and not to put it off any longer. Commissioner Bob Ott came out against postponing a decision on the amended senior living code. The board voted 4-1 to postpone voting on senior living zoning, with Ott opposing. The main difference is the CCRC code can allow up to 4-stories in low density neighborhoods. The developer wanted parking as another story because the CCRC code doesn't specify if parking counts as a story. That's how Isakson Living proposed a 5-story 108-foot high complex in 2013. However, the RSL code is limited to 2-stories 35-foot high buildings in low density neighborhoods. Also in the CCRC code, wetlands and stream buffers were not subtracted from density (the number of units per acre), and there was actually no cap on density. (The Tritt property is roughly 1/3 floodplain, stream buffers and wetlands.) This is how Isakson Living proposed more than 20 units/acre with roughly 1,000 units. In contrast, an RSL on this property would be limited to 5 units/acre or about 150 units. Isakson Living was involved in writing the Cobb County CCRC code, is the only developer to attempt rezoning with the CCRC code, and has only tried to rezone 1 property in Cobb County, despite an abundance of available land that could be suitable for a large-scale CCRC. November 2015 Update: Mediation is now scheduled for Monday, November 16. We understand the mediation will take just 1 day. If nothing is worked out in mediation the case goes before the judge to decide the legality of the county decision. If the judge sees nothing wrong, then the Board of Commissioners' denial holds and Isakson Living may choose to either walk away or take it to the appeals court. If it went back to the Board of Commissioners, there would be the standard 30-day public period to voice our opinions to the Commissioners on any mediated proposal put forth. August 18, 2015 Update: At this time, the attorneys are securing a mediator for the process. A date has not been set for mediation. We will post any updates here and on Facebook. April 15, 2015: Isakson Living announced plans to sue Cobb County. Here is the Isakson Living lawsuit, and Cobb County's response. March 17, 2015: The Isakson Living CCRC plan for the Tritt property was Denied Rezoning by the Board of Commissioners! Mediation is now scheduled for Monday, November 16. We understand the mediation will take just 1 day. If nothing is worked out in mediation the case goes before the judge to decide the legality of the county decision. If the judge sees nothing wrong, then the Board of Commissioners' denial holds and Isakson Living may choose to either walk away or take it to the appeals court. ​If it went back to the Board of Commissioners, there would be the standard 30-day public period to voice our opinions to the Commissioners on any mediated proposal put forth. ​1. New efforts on funding the voter-approved $40 million Park Bond from 2008. Former Cobb Parks Coalition President Paul Paulson in "Commissioners, time to get back to work on parks bond" explains (November 4, 2015 editorial in the Marietta Daily Journal). ​"Greenspace. Soul food for the spirit. We all need a taste. But in Cobb County, it’s endangered. Back in 2008 when it was learned that over 90 percent of our total acreage had already been knocked down by the blades of development, the people stood up and demanded action. Our Cobb County Board of Commissioners was compliant, agreeing to a ballot initiative asking voters for permission to issue $40 million in general obligation bonds in order to buy land for future parks in perpetuity before it was all gone. Like the promise of food to a starving population, the idea took off. Regular folks joined the ranks, recruited others, engaged the press, manned phone banks with some even speaking to Sunday school classes early Sunday mornings. On Nov. 4, 2008, 65 percent of Cobb voters gave their blessing to issue the bonds. A mandate, no less. Pure democracy in action. Yet, now in 2015, we still wait for the Commission to do its duty. We wait, as once again, the rejuvenated economy has awakened formerly idled bulldozers and Cobb’s green is rapidly bleeding red. And our elected officials stand proud to measure our economic health according to the growth in housing starts. But I wonder, are they equally proud of that same growth spreading like a cancer consuming the last of what makes a place home? Our elected servants seem to have forgotten their place. Bad news on the doorstep first came in the winter of 2010. Times had changed, the world’s economy had faltered and the headline read: “PARKS BOND DEAD.” Seems that to issue the bonds now would require a tax increase. A small one, about $13 a year for most, but a tax increase none-the-less. “I don’t wish to burden the already burdened.” said then-Cobb Commission Chairman Sam Olens. This was received as a practical and popular reaction to the times. Many homeowners were in trouble and, Lord knows, ambitious politicians don’t need a tax hike listed on their resumes. Greenspace preservation fell off the radar as all land development came to a halt. Since then, things have improved. There are fewer economic threats to homeowners and more gold in government coffers. Although it had eventually become necessary to raise property taxes 16 percent, the millage rate has since been reduced. Rezonings are back in the news and Cobb is spending like old times. Particularly onerous was its unilateral decision to issue some $400 million in general obligation bonds to buy a new ball field. All that while keeping its back firmly turned to the Parks Bond, and the majority who ordered its issuance. I always believed that in my country, such couldn’t happen. Our Founding Fathers clearly stated that ours would be a government “of” and “by” the people; no kings or dictators for us. Sure, we don’t participate in every decision, as we elect a few we trust to hold the reins of our power, but sometimes these folks simply are not sure and they hand them back to us, via a ballot question. Upon approval, they are duty bound to follow our mandate. By refusing to do this, they undermine the very essence of what makes America special. Here, their insubordination has particularly dire and long-lasting ramifications to our community’s health and future as developers are gobbling up the last precious morsels of our landscape like a Pac-Man run amok. Certainly, government has a record of spending superfluously. It’s the reason “tax increase” is considered a four-letter word. But, the Parks Bond breaks that mold. Before its rejection, the Parks Bond elicited nothing but good news, news that lifted the people’s spirit as well as the reputation of local government. It is well past time for Cobb officials to carry out our orders and demonstrate that our Constitutional freedoms are not subjugated to the political will of our servants. Get to work, Commissioners, history assures that your action to carry through today will only bring you credit tomorrow. And, tomorrow in this case is forever. A legacy awaits your choice. Paul Paulson of west Cobb is former head of the Cobb Parks Coalition." Read entire article. Most all of the properties on the Park Bond 2008 list to purchase have been developed. A few properties on the Park Bond 2008 list are under threat of development, such as the 54-acre Tritt property. A few other properties on the Park Bond 2008 list are available for purchase and hopefully the Board of Commissioners can act quickly to save them. Attending Commissioners' Town Hall meetings and Board of Commissioner hearings to ask the full $40 million for the Park Bond be funded, as overwhelmingly approved by voters in 2008 will make a difference. 2. Encourage Cobb Travel & Tourism on the new multi-use trail network plan, as a way to achieve the 2030 Comprehensive Plan parkland goals. See the "Cobb County planning multi-use trail system" October 28, 2015 article in the Marietta Daily Journal and "Cobb Officials Imagine a Trail Through Entire County" October 29 report on WABE. Compare the Cobb Trail Plan with the Woodstock plan in Cherokee County inspired by the state-wide Georgia Greenspace Program to save 20% of every Georgia county as trails and greenspace. 3. Push for more parkland acres by attending upcoming 2040 Comprehensive Plan meetings. ​Did you know more than 1,448 acres have already been slated for purchase as Parks, according to the 2030 Cobb Comprehensive Plan? But this goal has not been achieved. Now Cobb County is creating the 2040 Comprehensive Plan to deal with an even greater population influx than predicted. 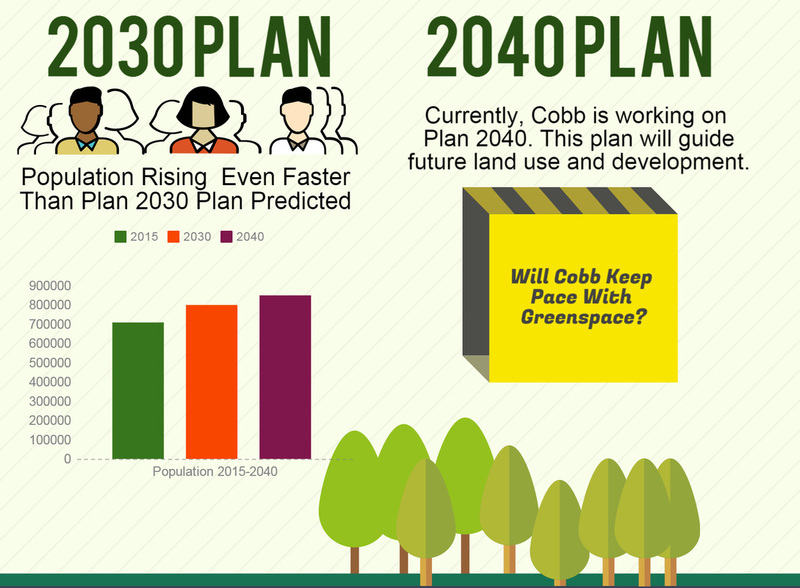 Cobb Community Development is requesting community input, so we can push for even more acres to get the level up to 10% or even 20% of the County, which is actually the stated goals of the current 2030 Comprehensive Plan for saving greenspace and creating parks. If possible, attend upcoming meetings for the 2040 Comprehensive Plan and find out more information on the 2040 Comprehensive Plan planning process. Isakson Living supporters have recently begun a new campaign to influence the Board of Commissioners about the 54-acre Tritt property located next to East Cobb Park. As we know, homeowners have the right to sell to anyone, but every community is protected from overdevelopment by zoning laws. The Board of Commissioners upheld the zoning laws for our community by denying the Isakson Living rezoning application for the Tritt property on March 17, 2015. Then on April 18, 2015, Isakson Living started a lawsuit against the Board of Commissioners for their decision. The latest on the lawsuit as of August 18, 2015 is mediation has not begun, but a document filed states if the mediation process doesn't work out, both sides would have 6 months of discovery before a bench trial would begin in Superior Court. Here is the latest court document explaining that. You can access all the court documents for this case here. The 54-acre Tritt Property next to East Cobb Park was listed on Park Bond 2006 and Park Bond 2008 for purchase as a public park. Google Maps image of the current QT store and the planned QT location. The QT Gas Station on the corner of Roswell & Old Canton just bought the Residential house next to it on Old Canton Road to build a larger QT. The current QT store is less than 3,000 square feet and QT plans to build a new QT at 5,558 square feet, much larger than zoning code allows. A drive-thru is planned for the new QT too. No traffic study has been submitted for this project. Also, no landscape plan has been provided. Some East Cobb neighbors and the ECCA recently met with QT representatives in July, and we have been told QT has so far denied many compromises to their plan, such as adding extra high fencing along the neighborhoods as well as protecting ponds & streams from run off. Here is the final analysis for the QT zoning request, and the zoning department recommends approval at this point. Contact the Commissioners here before the August 4 meeting. Here is the QT preliminary zoning application (See pages 11-17). The Planning Commission meets this Tuesday, August 4 at 9:00am, 100 Cherokee St NE, Room 200, Marietta, GA 30060. The Board of Commissioners makes a final decision on August 18 at 9:00am. Click here to write your own email to the Board of Commissioners & Planning Commissioners to encourage QT to work in the best interests of the community according to the zoning codes. The Planning Commission meets this Tuesday, August 4 at 9:00am, 100 Cherokee St NE, Room 200, Marietta, GA 30060. Email the Commissioners directly here.